There is both chaos and beauty in award-winning RT+Q Architects’ office. Within its cosy and tight corners are rows of models. 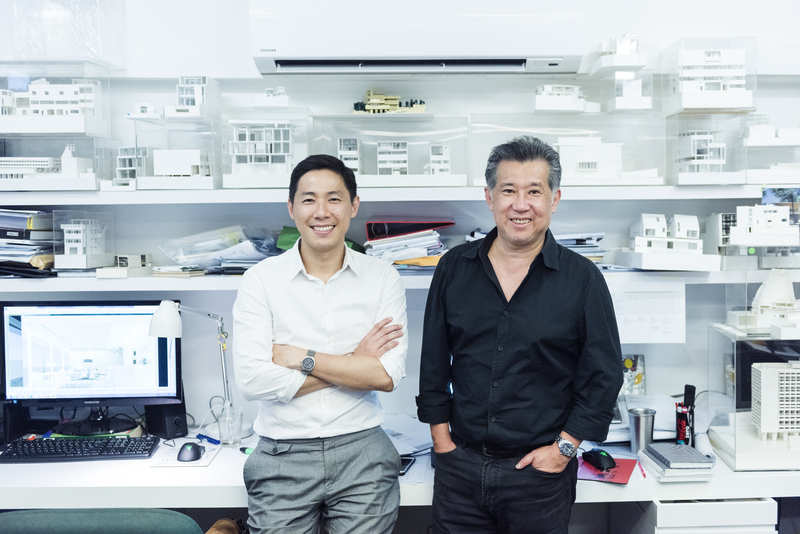 “We produce models for every one of our projects,” says co-founder Rene Tan. Coming away from a leisurely afternoon chat with Rene Tan and next generation architect Jonathan Quek, both recognised in the Urban Redevelopment Authority (URA)’s ’20 under 45’ series, you are inspired by their fierce dedication to the architectural craft and determination to keep designing beautiful spaces. Started in 2003 by Rene and T.K. Quek, RT+Q’s works range from homes, to condominiums, resorts, offices and commercial buildings. What was your first encounter with architecture? Jonathan: My dad is an architect and my brother did architecture too. When I was growing up, it was part and parcel of life to follow my dad to job sites and we’ll see beautiful architecture when we went overseas. As kid, I saw the Sagrada Familia in Barcelona and the opera house in Sydney. Architecture has always been part of my life. Rene: I went to college intending to be a pianist, and became an accidental architect. Circumstances are such that I started studying music and architecture in college and ended up becoming an architect. When I say my first encounter of architecture was through music, it’s an understanding of beautiful things. Form and craft exists whether in physical form or sounds. What is one work you are proud of? Jonathan: I recently designed a house for my father and I. He lives in one wing, and I live in another. You get to see whether or not your design actually works. 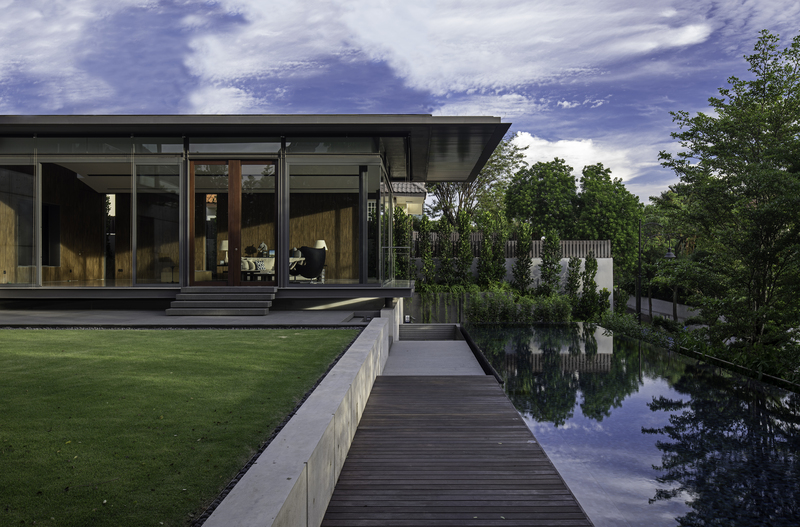 Whether the spaces let you feel you are in your own sanctum and help you come together. Building your own house was quite a learning experience. Rene: None and all of them. In all our jobs, there is something unique. To say one stands out more than other is hard. What would you like to see more (or less) of in Singapore architecture? Jonathan: Less emphasis on materials. In the larger scheme of things, materials are secondary compared to form. Materials are usually called upon to conceal mistakes. What is one place in Singapore that is special to you? Rene: The Padang. It is not a built edifice but the space is symbolic, usable and framed by nice looking buildings. Jonathan: Fullerton Bay Hotel. Historically, it’s where immigrants first arrived at in Singapore. The architecture is beautiful, and it looks out to a view and back at the Singapore skyline. Rene: What would be interesting is to design architecture for the visually impaired. We presume architecture is about vision, but what happens when we take that away? It’ll be interesting to rely on your other senses. Can you still talk about proportion or scale? I think so. Jonathan: Moving away from residential. Jumping in scale is something I look forward to. It can be bigger or smaller. We have established a certain rhythm in doing houses, and changing the constraints, scale and typology would challenge us more. Rene: … about architecture. I encourage our colleagues to rely on counter intuition. When you think architecture ought to be about buildings, we should do it less. The answer will come naturally and from non-architectural sources. Don’t think like an architect, because when you do, a door will look like a door. Jonathan: I am going to counter that. Architecture should be about architecture—for at least the first five years. After that, then you can start thinking out of the box. 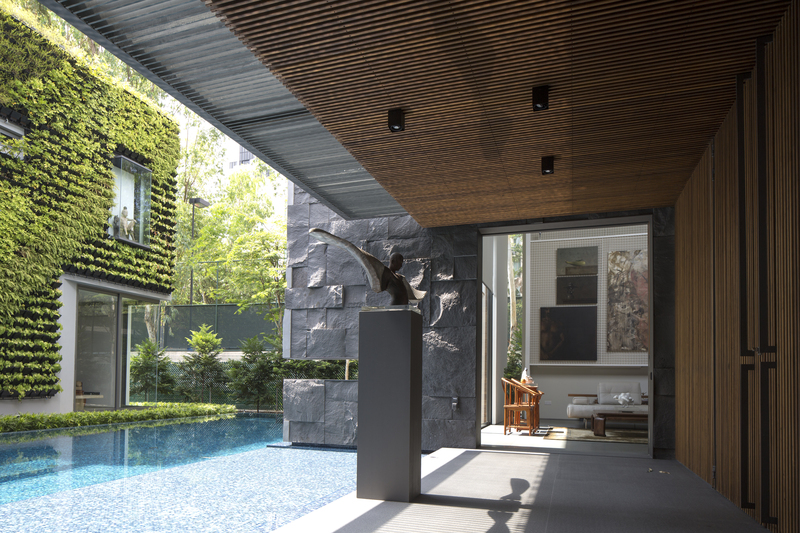 The ‘20 under 45’ series recognises Singapore-registered architects across generations. The third edition was unveiled in 2017 recognising a new group of 20 architects under the age of 45. The architects for the series were selected by a panel of assessors from the architectural profession and other related industries, based on their range of works that reflect their achievements in design, ideas and leadership.